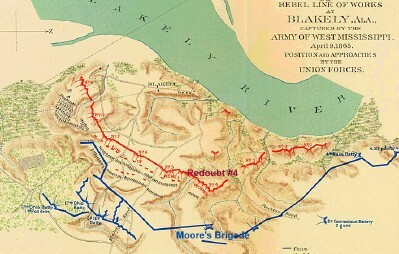 On April 9, 1865, at 5:30 p.m, following an eight-day siege, the Battle of Blakeley was fought near Mobile, Alabama. It was fought after the war had ended only hours earlier with the surrender of General Robert E. Lee. This was the last battle of the Civil War and it received considerable news coverage as depicted in a scene from ‘Harper’s Weekly on May 17, 1865. 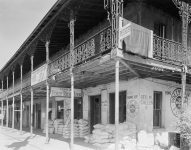 During the height of its existence, Blakeley was a thriving town which flourished as a competitor to its western neighbor, Mobile. 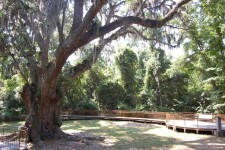 The town is now in an Alabama historic state park known as Historic Blakeley State Park near Spanish Fort. 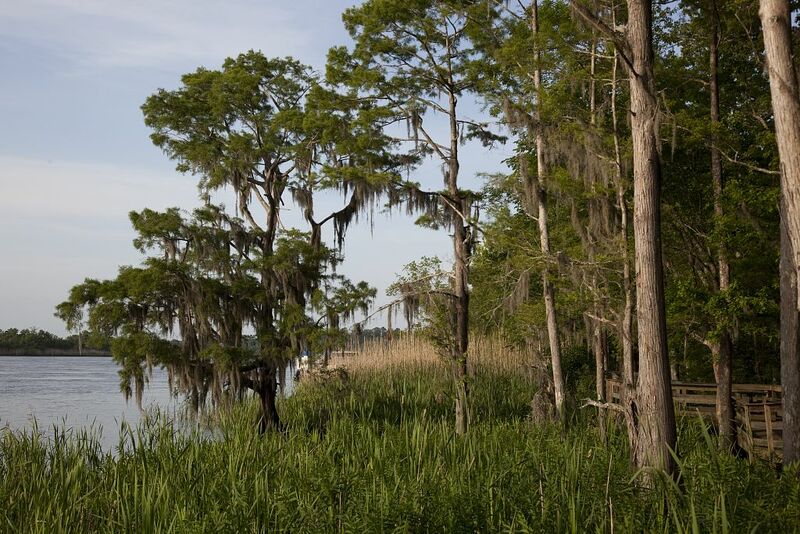 He bought 7,000 acres of land in the northeastern portion of Mobile Bay at the old seat of the Apalaches, where the Bayor Salome empties into the Tensaw. 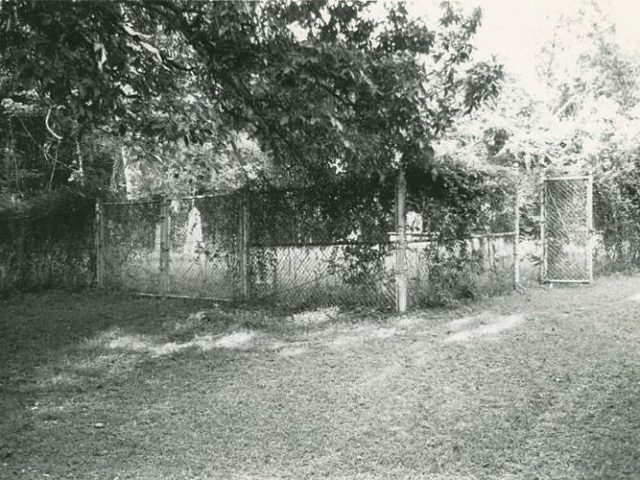 This was the White House plantation, which he had bought from Dr. Joseph Chastang, and after the American occupation he was cautious enough to obtain a release from the Chastang heirs, as he did also from the former owners of his marsh lands. He then hired, James Magoffin, a surveyor from St. Stephens to lay out a town in 1813. Ten lots were sold in July to Warren Ross Dodge for one thousand dollars, one having as high a number as 358, and in a later deed 429 is mentioned. From this and other deeds, it appears there were at least two “public squares,” and that among the street names were Washington, Orleans, Robinson, Franklin, Warren, Greene, Wayne, Clinton, Baldwin, Hancock, Shelby, Clarke, and Blount, besides Plum, Fig, Live Oak, and Ridge alleys. The lots seem to have been 99 by 199 feet. 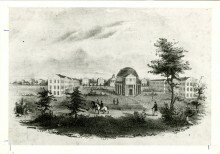 Judson and other Mobilians invested; and the same year Dodge and Garrow bought the neighboring McVoy Mill site of four hundred and eighty acres, with improvements, on Bay Minette. 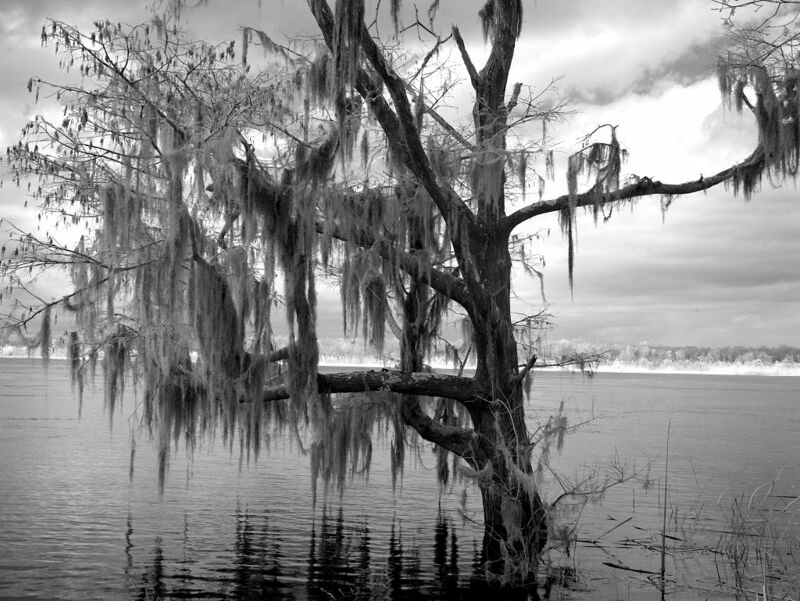 On January 6, 1814, the Mississippi Territorial Legislature authorized him to lay out a town to be known as Blakeley. Blakeley’s plat duly wafered in the Mobile Deed Book “A.” This was removed in 1822, however to grace the Baldwin County records and then disappear. Samuel Haines was Blakeley’s lawyer, and secured this incorporation, for which, and his general interest in the new town, Blakeley deeded him a number of lots in it. Your very pleasing, interesting (letter of )December 11 came to hand about the middle of Feb. Could you, my dear niece, know one half the pleasure it afforded me, you would willingly continue your interesting pleasing correspondence. I love your dear mother very much. She knows I love her; but I have one complaint against her, but I have one complaint against her, — that she did not sooner inform me that I had so pretty a niece, who could write so pretty a letter. I thank you for being so particular. Ever was it to me a most consolatory reflection that my dear aged mother was with and under the sole care of your most amiable attentive mamma. . . . The unusual number of years added to the days of my dear mother’s life does not lessen the sorrow of bidding her a last adieu. To me she had been an indulgent, kind, affectionate mother. She knew I loved her; with me her beloved memory will be dear and lasting. With your dear mamma and family, and with all weeping friends, do I most affectionately and most sincerely sympathize. . . .
“Mobile, the great object of contention at this moment between the United States and the Spaniards, contains about 90 houses, all of wood and but one story high. At the south end of the town is a beautiful fort, built by the French and called Fort Charlotte. 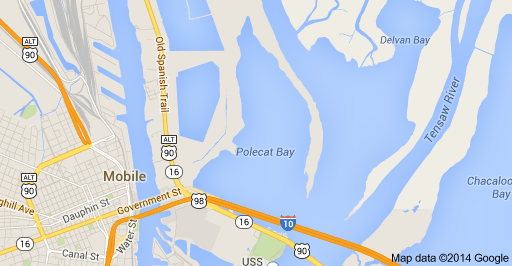 The town is about thirty miles north of the Gulph of Mexico, at the head of what is called Mobile Bay. This bay is from 10 to 20 miles wide. 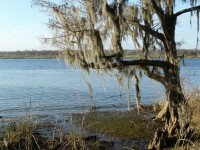 At the head of this bay, on the west side, stands the now famous town of Mobile. The river Mobile disembogues its waters into the bay by several mouths. From Mobile to the high land on the eastern shore is three leagues, in which are three rich islands, containing about four thousand acres each. Better land for rice and cotton perhaps the world does not afford. These three valuable islands are mine. The unfortunate dispute between the two nations has rendered it impossible for me to either sell or cultivate these lands. Were the, Americans here, their value would soon be known. Cattle and hogs do well upon them, and no expense. Upon them I have about 30 head of cattle and hundreds of hogs, the hogs wild. I shoot or catch them with a dog. On one of these islands I have a small house and plantation, called Festino. This year intend growing rice. I have also a large survey of land at the mouth of the river Pascagoula, 50 miles west of this. The Gazettes will from time to time inform you what takes place in this country. I have at my Festino plantation the orange, fig, quince, and peach; all do well. It is here too warm for apples. 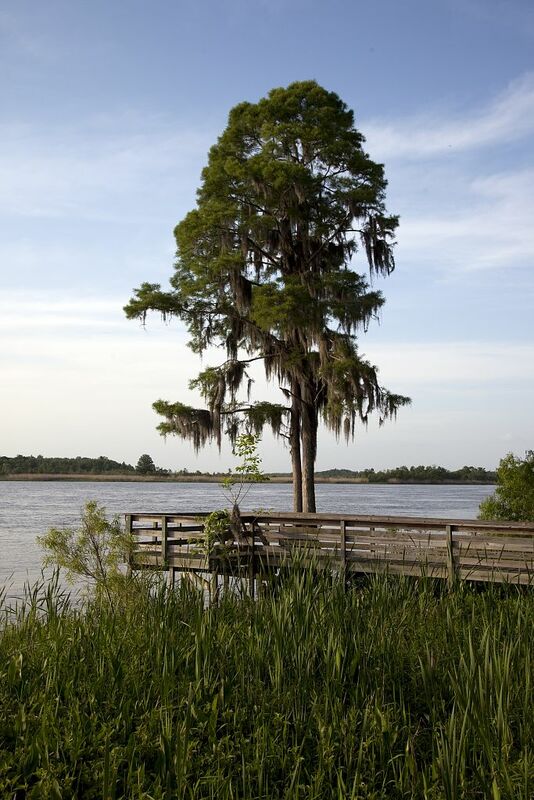 At Fort Stodert, 50 miles north of this, on the west bank of this Mobile River, is an American garrison of 500 or less troops. A little above Fort Stodert the Alabama from the northeast and the Tombigby from the north form a junction, as you may see from the map. They continue one stream to about a league south of the fort, then again separate, forming the Mobile River on the west and the Tensaw on the east. 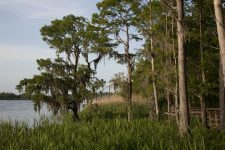 These channels pass through a swamp or marsh about ten miles wide, very little of which is fit for cultivation. Below this marsh and above Mobile Bay are my islands, free of wood and proper for cultivation. They are one continued meadow farther than the eye can reach. Burn the grass and it is fit for the plough or hoe. Between this and Fort Stodert, on the west side, poor land; but few inhabitants, these French. In Mobile about 20 white families, those French, Spanish, Americans, and English. You can easily calculate my circle of acquaintance in Mobile is small. I am acquainted on both sides the river, for a hundred miles up, with all the best people. My room is directly opposite the Roman Catholic Church, the only one here, and in which I sometimes attend Mass, though no Catholic, I love to see religion attended to; it has a good effect on the conduct and morals of the people. From this for 500 miles north, I do not believe there is a church or clergyman, the people almost savage. Land in general poor, and but few inhabitants. Packet boats and other vessels are constantly running between this and Orleans; passage about three days. Orleans is southwest of this. That is a gay, lively place; the young ladies there dance as well and dress with as much taste as any place I was ever in. You know if the French have money they will both dress and dance. But little attention appears to be paid to the improvement of the mind. Yet many of them make lively, pleasant companions. When I came to this place it was supposed the United States would soon be in possession. . . . By this long delay I have been disappointed. At present my property here is almost unproductive. By the Gazette you will be informed of the state of this country. I long once more to visit the land of my nativity. I have not the pleasure of recollecting you, and suppose you do not recollect me. By a steady correspondence we can become better acquainted. My picture, which I hope is with your beloved mother, will inform you how I look; your mamma can inform you how I talk; my letter will how I write. . . . Several Yankees are here. One of the first merchants in this place is from Connecticut, not far from Stratford. His name is Judson, a good man. This market furnishes plenty of good oysters and fish, and during the winter the greatest plenty of wild geese, ducks, etc. Venison is plenty all the year, often for 1/4 dollar a quarter. 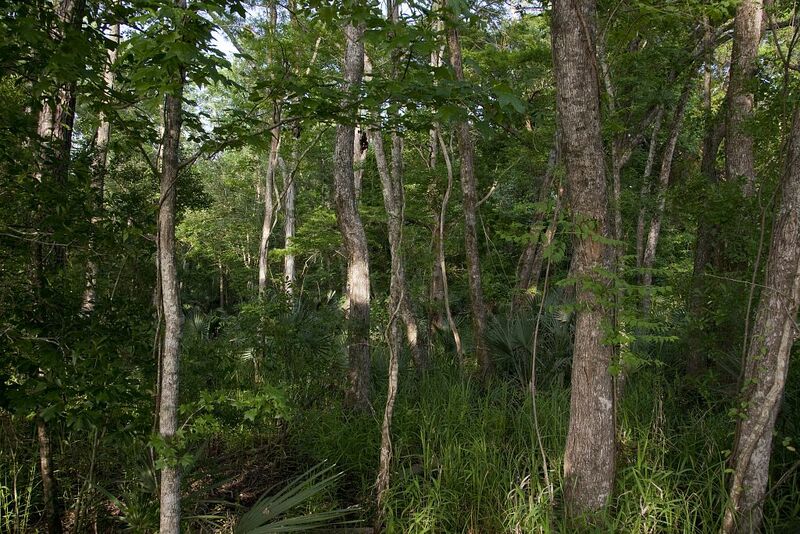 . .
“My Festino plantation is about three miles from Mobile, where next month, March, I begin planting Rice. Rice generally grows about as high as wheat; on my island it grows six feet high. It also produces cotton superior to any other land in this country. But I have not negroes to cultivate it; and as the situation of the country now is, I cannot sell plantations. . . .
“During this last winter the United States army, which had long been wholly idle in this country, have made a road and bridges from Baton Rouge on the Mississippi to Fort Stodart, also from Fort Stodart to the State of Georgia. 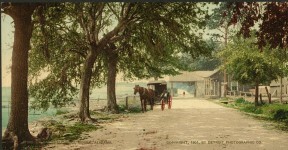 I have seen many carriages which came from Savanah to Fort Stodart. “You may write me, and come all the way by land, and a good road. I inform your dear mamma, soon as the Americans have this country I believe I must beg permission to send for one of her daughters. Josiah Blakeley died in 1815 and did not live to see the admission of Alabama to Statehood in 1819. 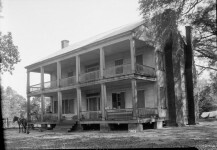 We are informed that Mr. J. Wilson, who lately kept the Hotel at Blakeley in this territory, in travelling to the States, accompanied by two only daughters of the ages of 11 and 13, when within 15 miles of the Creek agency met with his untimely fate, but in what manner is with us as yet conjecture. FreeHearts: 2nd edition A Novel of Colonial America – Col. John Washington (ancestor of President George Washington), Randall Revell, Tom Cottingham, Edmund Beauchamp ward off Indian attacks and conquer the wilds of Maryland’s Eastern shore in 17th century colonial America in this historical novel, inspired by true events. Jackson’s Oak – can you imagine the stories it could tell? I read with great interest your story on Josiah Blakeley and the Town of Blakeley. I am a native New Englander but my great, great grandfather, Richard J. Doran/Doren on every document I can find on him, (marriage, census, military, death cert.) lists his place of birth as “Blakeley, Alabama” in 1832. He lists his father as Michael Doran, born in Ireland. In my many years of genealogical research, the details of how Michael Doran came to reside in Blakeley and where he went after the town’s demise is my brick wall. Richard, his son doesn’t show up definitively in records until 1853 when he marries in Boston. He lists his occupation as “mariner” so I am inclined to think his father Michael was a mariner as well working on the schooners and brigs sailing in/out of Blakeley and Mobile. 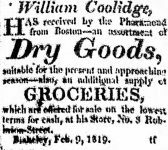 Interestingly enough, I located some newspaper advertisements running in New York, Boston, and Philadelphia from 1817-1821 with detailed descriptions of the Town of Blakeley offering lots for sale. In addition there are ads in Boston and New York papers for passengers to board some of the ships to sail to Blakeley (taking from 16-36 days), so it is possible Michael Doran was an Irish immigrant who first settled in the northeast and then sailed to Blakeley, started a family. In any event, I wanted to share that I think I’ve read everything I can find online about Blakeley but your article was new and informative. It has me back on the path to hopefully break down this brick wall on my ancestors. Thank you for sharing! I’m glad you enjoyed the article. This is a most interesting article to me because some of my ancestors have owned and lived on a few of the islands in the delta. Thanks for posting. No, this was not the last battle of the War Between the States. The Battle of Palmito Ranch is generally reckoned as the final battle of the American Civil War, being the last engagement of any significance, involving casualties. 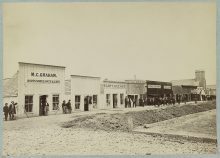 The battle was fought on the banks of the Rio Grande, east of Brownsville, Texas, and a few miles from the seaport of Los Brazos de Santiago, on May 12–13, 1865. Also the Army of Tennessee (CSA) did not surrender until April 26, 1865 in North Carolina. I also enjoyed this article! I’ve lived in Pensacola for 24 years, but only discovered Blakeley about 3 years ago. Since then I have visited many times, and have become keenly interested in the history of the area. Do you know anything about a research project on Blakeley that was conducted in the 70’s or 80’s? 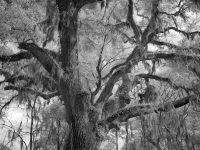 I read about it a year ago in the genealogical library in Mobile, and I’m afraid the details are a little fuzzy, but it seems they were conducting a rather large and detailed study of the history of Blakeley. Thanks again for the article. Not the last battle of The War for Southern Independent? My GG Grandfather surrendered here at the age of 15, with the 62nd Ala. Infrantry. One of my 2nd great grandfathers, Thomas Jefferson Riley(63rd Alabama Regiment), was there and captured. My grandmother told me that he said when they surrendered a Yankee Regiment fired three volleys into the surrendered soldiers and some were shot down close to him. I found out a couple of years ago that it was an Illinois Regiment that did this. He spent time after this at Ship Island POW Camp before being paroled at Meridian, MS. This is a good article and interesting but contains a BIG bit of misinformation right at the beginning. It states that the War ended with the surrender of Lee at Appomattox. This is wrong. Lee only surrendered the Army of North Virginia. He did not, and could not, surrender the Army of Tennessee, the Army of Trans-Mississippi nor the government of the Confederate States of America. In fact, Lee was the FIRST to surrender. The Army of Trans-Mississippi was the last and, indeed, the government of the Confederate States of America NEVER SURRENDERED. Technically the CSA still exists and is a country occupied by a foreign power. The War did not end with Lee’s surrender. The other Armies fought on and the government was still in power. I learn so much history from this site. Never knew about Blakeley. Now I’ll have to do some research. Thanks. Keep up the good work. Fascinating and entertaining look back. There is so much interesting history in this area of Alabama. I enjoyed this very much. When I was in High School, 1962, two friends and I camped out on a weekend in Blakeley before it was a public park. It rained all day on Saturday and we had driven my car way back into the woods on the dirt roads. We almost got stuck on the muddy roads trying to go back home on Sunday. We were lucky to get out of the woods. This was not the last battle of the Civil War. The battles of Girard, Alabama and Columbus, Georgia were April 16th. Joseph Chastang was my great great grandfather. I love hearing these stories.